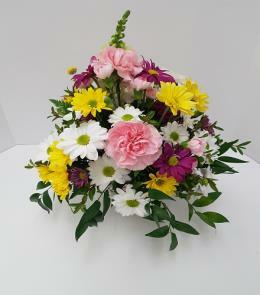 Local delivery included if there is a florist in town. 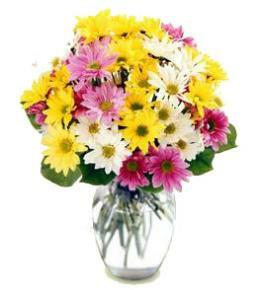 The Basket of Cheer® Bouquet by FTD® sends your warmest wishes for happiness with each sunlit bloom! 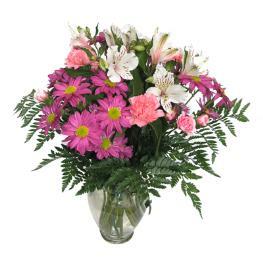 Yellow Asiatic Lilies and traditional daisies are vibrant and beautiful arranged amongst pink carnations, pink Peruvian Lilies and magenta mini carnations. 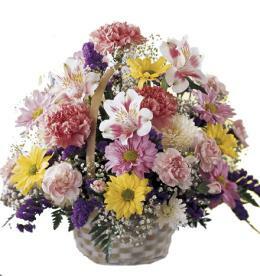 Accented with lush greens and presented in a round whitewash handled basket, this arrangement is a sweet sentiment brought together to brighen your special recipient's day. 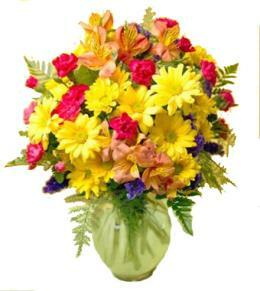 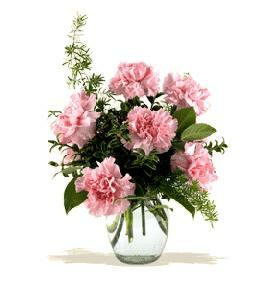 Value priced flower arrangement below $60.00 - The FTD Basket of Cheer Bouquet.